Garth better put on his blue trunks first. If he shows up in his Tidy Whiteys, he's going to upset the Kelp Farmers...and no one wants that! 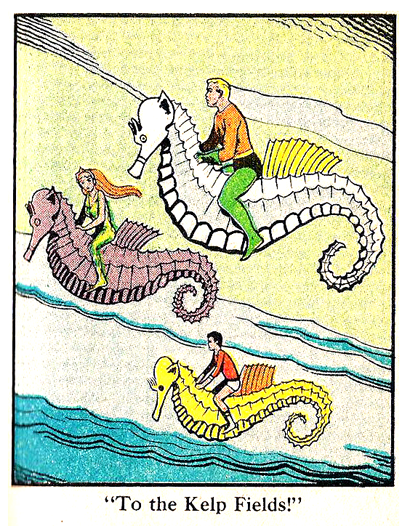 Man, I have a huge soft spot for the seahorse-riding Aqua-Family. It's just so charming.